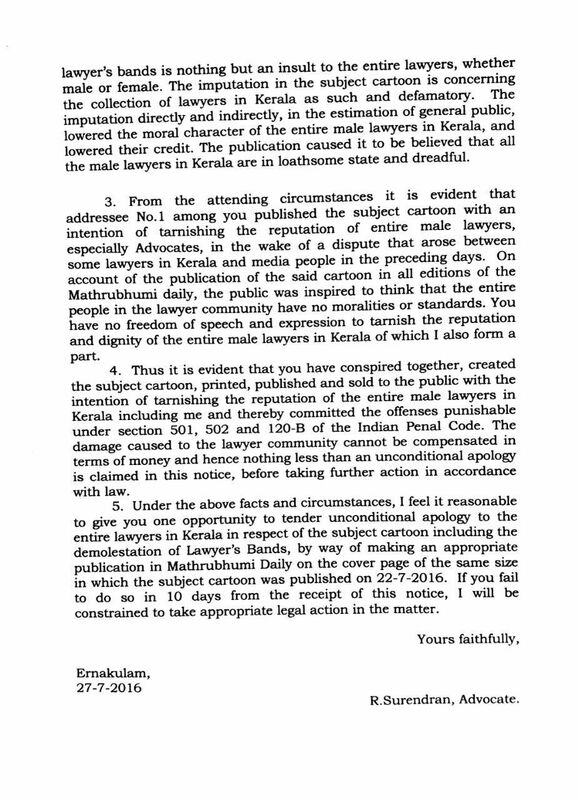 A Lawyer Notice has been served on Mathrubhumi, a vernacular National daily of Kerala, for publishing a cartoon on 22-7-16 showing the lawyers band in an insulting and improper manner. The cartoon titled ‘Government pleadanam’ shows that the two oblong pieces of the band , one of them being shown as lawyer and other shown as a lady. The lawyer is depicted as trying to attack/grab the lady in another . 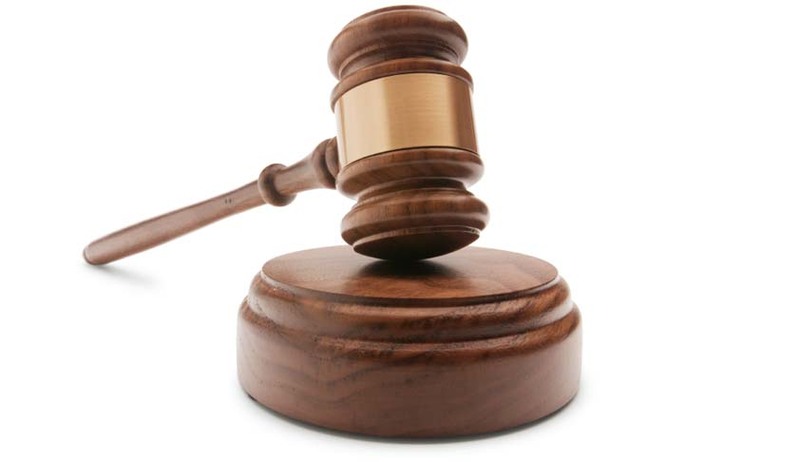 The lawyer notice further states that the above action amounts to offences punishable under section 501,502 and 120-B of the Indian Penal Code. 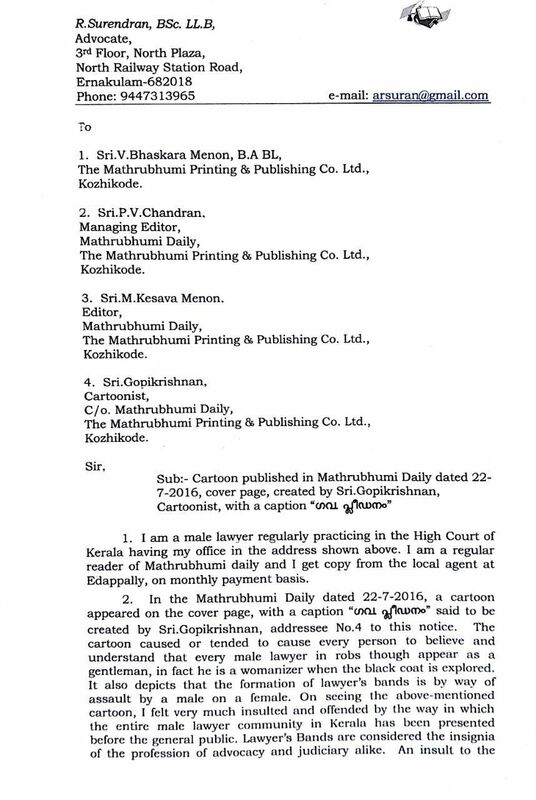 The notice hence demanded an apology from the daily by causing the same to be published in the form of a cartoon on the cover page wherein the first cartoon was published with the same space and size. The same shall have to be done within a period of 10 days from receipt of the notice, failing which appropriate legal proceedings shall be initiated in the due course, the notice stated.